Our research team has been following the energy sector quite intensely with Oil and Natural Gas making an impressive move. A little known seasonal pattern in Natural Gas has set up recently and we have alerted our members to this play which is already up over 16%. 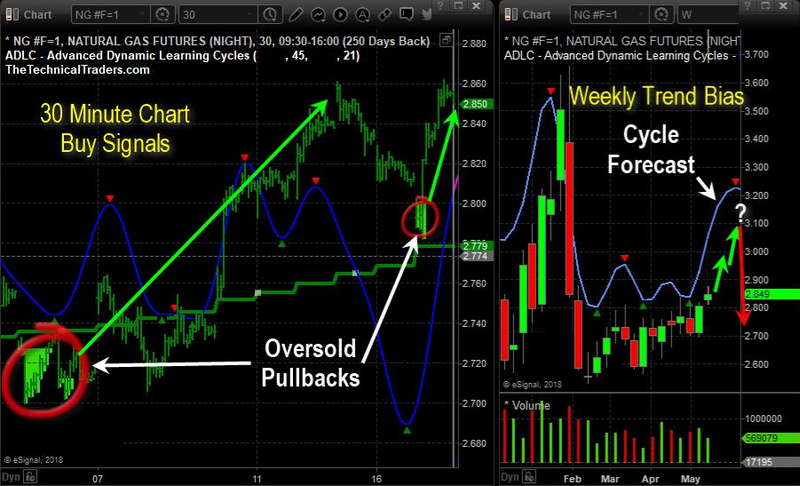 Our advanced price modeling systems and Adaptive Dynamic Learning Cycles have recently triggered another buy entry point which we share in this article but first look at the seasonal chart showing the month which Natural Gas is generally strong. Our 53 years experience in researching and trading makes analyzing the complex and ever changing financial markets a natural process. We have a simple and highly effective way to provide our customers with the most convenient, accurate, and timely market forecasts available today.